Mad About Meghan: The Sussexes to Visit Morocco Later This Month! The Sussexes to Visit Morocco Later This Month! 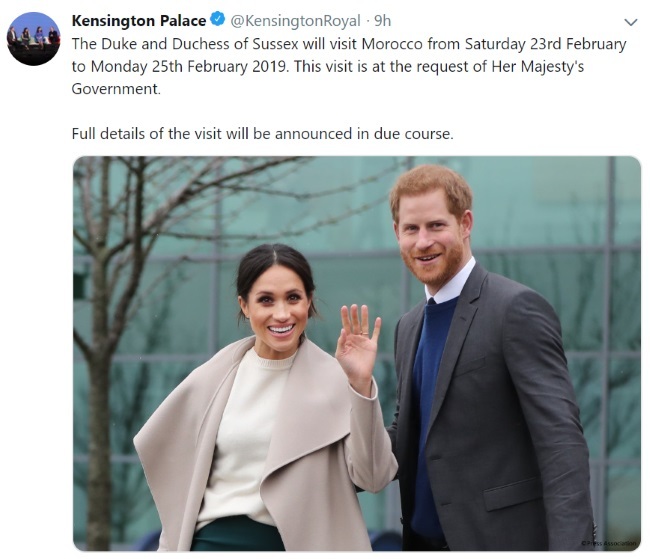 We're back sooner than expected with news the Duke and Duchess of Sussex will visit Morocco from the 23rd-25th February at the request of Her Majesty's government. Kensington Palace confirmed the news this morning via Twitter. Normally, news of overseas trips for members of the Royal family are reported months in advance. We often see Palace sources give confirmation to trusted outlets. This trip appeared to come very much to the surprise of the press pack and indeed royal followers who were very interested to hear the Duchess will be undertaking a visit abroad close to her eighth month of pregnancy. Much like Meghan's work with the Hubb and private visits to her patronages, the Sussexes have managed to keep much of their efforts and plans under the radar. It's certainly an exciting development. I understand they will arrive in Morocco on the evening of Saturday, 23rd and carry out engagements over the Sunday and Monday before returning to London. 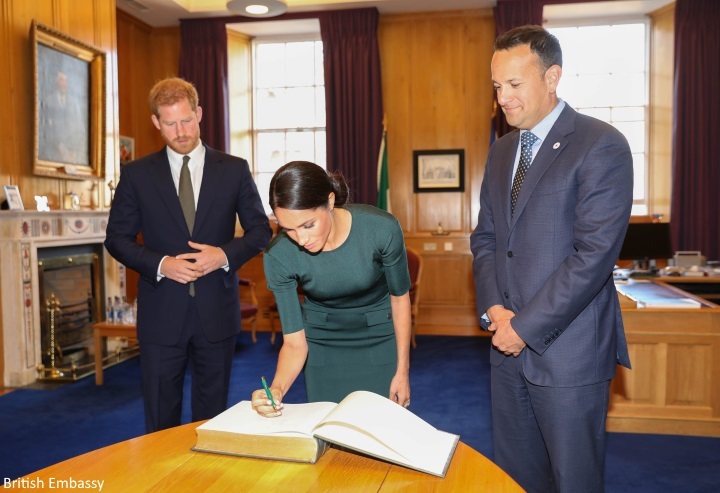 It's been less than nine months since the royal wedding and already we've seen Harry and Meghan deployed to Dublin - an important diplomatic visit given the challenges Brexit poses regarding trade between the neighbouring countries. In October, they carried out a full scale tour of Australia, Fiji, Tonga and New Zealand. And later this month, ahead of the arrival of Baby Sussex, it's Morocco. It's interesting to see their roles as ambassadors for Britain developing apace; the fact the Queen and Buckingham Palace have entrusted Meghan with several visits abroad so early on is a testament to Her Majesty's confidence in her. We recently chatted about Meghan meeting with New Zealand Prime Minister Jacinda Ardern. We're starting to see the stateswoman she will develop into emerge. 'A royal aide said the couple were following official NHS guidance which advises that women can fly until they are 37 weeks pregnant, adding: "The Duchess feels well and able to fly. Most airlines permit women to fly up until approximately the last month of their pregnancy. 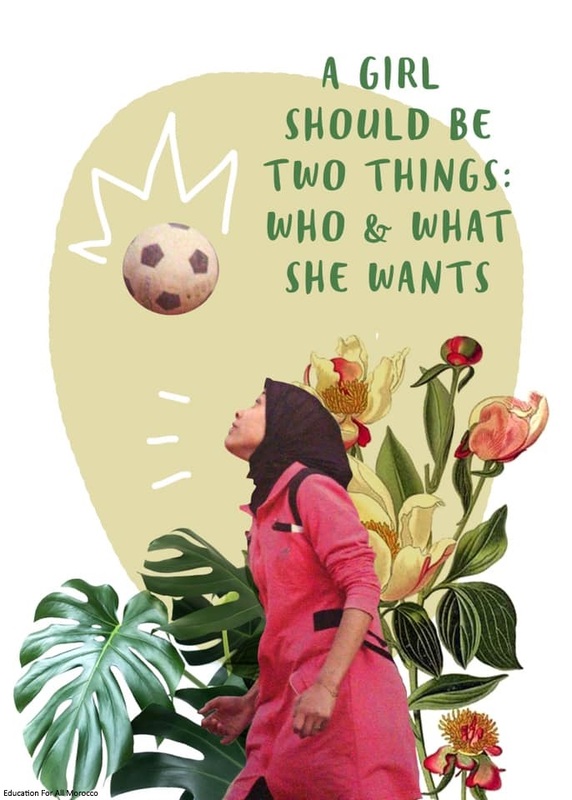 Hannah Furness shared a link to a very interesting piece written by Michelle Obama in 2016 on the global girls' education crisis following visits to Morocco and Liberia. 'Rihab Boutadghart lives in a remote part of Morocco near the Sahara Desert. While Morocco has made huge strides in education, and nearly all girls there attend elementary school, girls in rural areas often live far from the nearest middle and high schools, so many of them drop out of school by the time they turn twelve. Right now, only 14 percent of girls in rural Morocco attend high school. One organisation I could see Meghan eager to work with is Education for All Morocco. The organisation supports girls from very rural communities to continue their education beyond primary school. They are often prohibited by the costs associated with travelling to the nearest secondary school, often a number of kilometres away in larger towns. In some rural areas, up to 83% of women are illiterate - a shocking figure. They believe "Educate a Girl, Educate the Next Generation". More from the British Ambassador to Morocco Thomas Reilly. We expect to hear the full itinerary over the next week or so. Also, a quick update on the women of Hubb community kitchen. 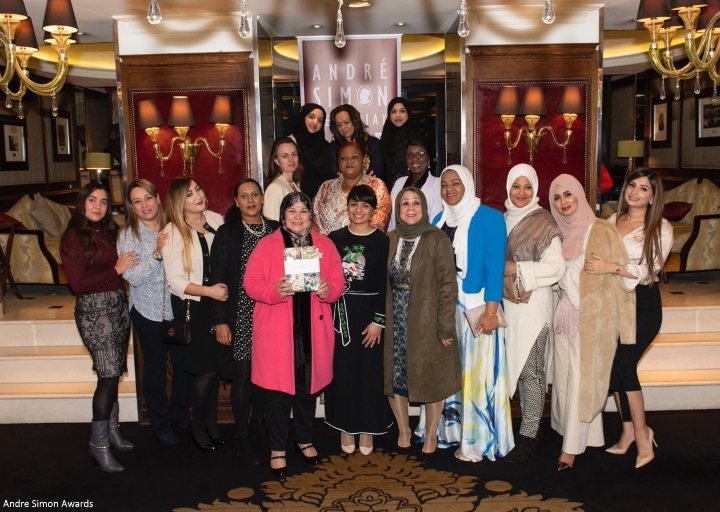 They received a special commendation at the André Simon Awards at the Goring Hotel for Together - Our Community Cookbook. Omid Scobie revealed the bestselling book is continuing to sell well. Meera Sodha, this year’s food-book assessor, told the Bookseller: "Together touched the core of my soul. These women came together after the Grenfell tragedy to cook for family and friends. Their stories are ones that are never usually heard and their food – beautiful and delicious home cooking – is not ordinarily seen. 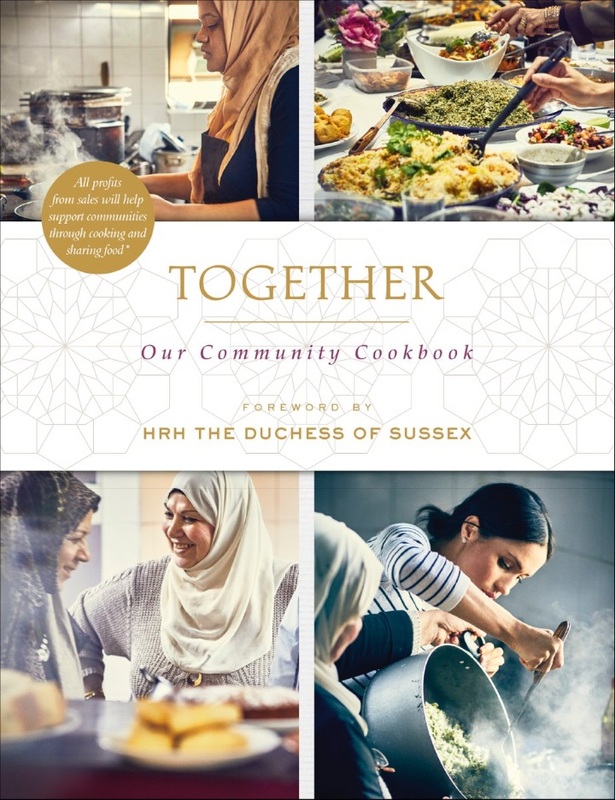 It’s a rare and beautiful book which shows the power of cooking and eating together as a way to connect, share, love – and in this case, grieve and heal." 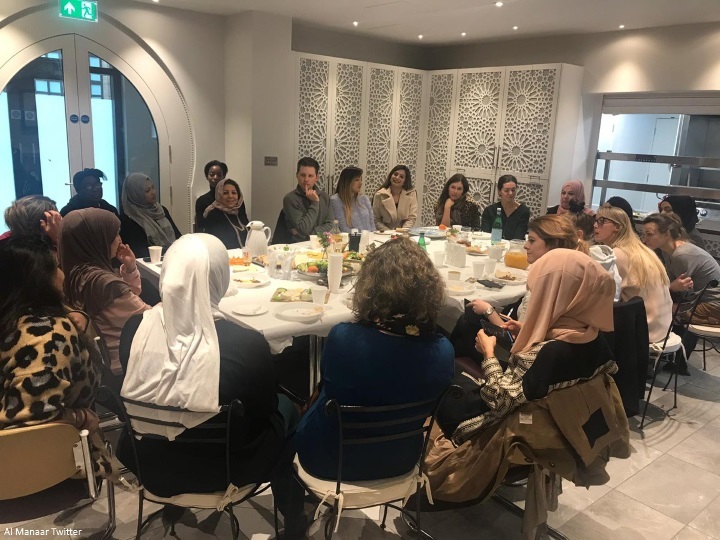 And today, the women were visited by a team of designers from Stella McCartney to discuss how they could lend their services to support future projects by the Hubb team. It's brilliant to see their growth and plans for the future taking shape. Together remains available at a variety of booksellers including Amazon. Oh, I do so love following a tour, even a short one. Luckily the time zone difference is such that I'll be able to keep up with them! It looks like a lot of travel is in their future. I can't wait for the first tour with Baby Sussex. Keeping my fingers crossed for Canada. What exciting news for those wonderful Hubb ladies! I have a real weak spot for them; I started to tear up reading about them. They are so special; I wish I could join them. That is very exciting about the Morocco visit, although surprising. I hope Harry and Meghan can think of ways to get education to the girls in rural areas. And that a doctor or midwife accompanies them. I agree about the ladies of the Hubb Kitchen. It's great that their little cookbook has been able to help them so much. Allison, I couldn’t agree more. Immigrants are our strength! how very exciting! I look forward to seeing how DoSu dresses for this journey! Yas. Queen! Meghan continues to fulfill all the hopes I had for her upon joining the Firm. She's hardworking and caring and HM very clearly recognizes what an asset Meghan is and what a power couple she and Harry are. I think this short trip will be really interesting and the engagements sound right up their alley. Nearing the end of her pregnancy? No problem for Meghan! She continues to prove how serious she is about this role. I'm sure they've consulted closely with doctors to make sure this trip is safe. Wow. This is very unexpected news! Interesting. Now we know the last week of February is not yet week 37. Meanwhile I shake my head at multiple headlines calling this a Babymoon. Reality check: a working tour at the government's request is not a holiday or last romantic "we time" for Meghan and Harry even if the location seems exotic to some. I have been on working tours which colleagues and onlookers regarded with jealous eyes. However, none of them had to deal with the detailed and exhaustive preparation, the minutia of planning and the 24/7 responsibilities which came with the job. Looking forward to the sane and reliable coverage here on MAM. The last week of February was never going to be the 37th week of Meghan's pregnancy. She is only in the beginning of her third trimester and has told us herself that she is due in late April or early May. As long as her doctor gives her the okay, she should be perfectly fine traveling right now. I'm sure Harry will remind her to pace herself, but it is also going to be a very short trip. Ah my bossy duchess is not ready to stop. I love it! look forward to following the mini tour with you. Otherwise the Meghan effect continues so proud of hubb comunity girls and Meghan too . I can’t wait to see the itinerary. It is incredible that the Duchess is so determined to keep this busy schedule ahead of the arrival of their first born. Clearly, she is determined in her new role. It’s really admirable. I'm happy that they continue to work despite it all. It's scary to think how unhappy they must be while this moment should've been the best of their lives. I'm worry about Baby Sussex press coverage. It's gong to be horrible. Need I say a bit of diversion from the media circus going on right now. One wonders if this is HM's way of stepping in to stop some of the most egregious abuse. By sending H&M on a royal tour to Morocco she's saying that she 100% trusts Harry and Meghan to represent the royal family well. I think it's her way of being supportive. I'm sure Harry and Meghan with their natural charm and personable personalities will be a big hit among Moroccans and there will be plenty of coverage. And the tour is short enough that it doesn't strain Meghan as she enters her third trimester. Continue to “rock steady” Duchess of Sussex, keep smiling and keep on working. Glad to hear about the tour. Articles are also circulating on the subject. Wow! thanks, Charlotte for current info on the Hubb women. I was thinking about them while reading the blog on “Meghan’s friends coming to her rescue”. The book continues to sell. Awesome! The timing of this immediately following the people article looks to me like a “pivot“ as my friends in public relations have taught me. In other words they have responded to the negative items of the last several months, and now they’re pivoting to the thing that they would like to talk about, the tour. Very nicely done. Doesn’t mean the negative coverage goes away — I imagine Mr. Markle and the half-sister will be out there this weekend, but now there’s another something to write about, too. They’ve definitely upped their PR game, and it was sorely needed! Today across the pond, the Washington Post held nothing back about the tabloid hit jobs on Meghan. The article is worth a read. Thanks for all the updates Charlotte. The Morocco trip intrigues me. I know many women, including me, worked right up to the delivery date, but traveling in the 3rd trimester is rarely easy. I suspect Harry will be giving her lots of back rub. Thanks for the article, very interesting. I loved how they confirmed that Meghan is a princess, many like to point that she is not, which is incorrect of course. Sorry to differ MD. Princesse are born, not made by marriage. Kate also is not a princess. The term princess of the United Kingdom is her work position not a title. Their title is Duchess. We often hear Diana, Princess of Wales as it would be connecting her to her husband. Kate would be The Princess William and Meghan, The Princess Henry. If I am not mistaken, there are two categories of Princess. Though I may not have the exact phrasing right, those categories are Princess of the Blood and Princess of the Realm. Diana, Catherine and Meghan who have married Princes are the latter which I have seen stated in photos of official documents. Beatrice and Eugene are the former as they are daughters born of a Prince. But each one is--or in Diana's case was--a Princess. USA Granny, they are both princesses. But are just princesses by marriage - a legitimate way to gain the title. It's true that they will probably will never be princesses in their own right (i.e. they wouldn't be entitled to be styled Princess Meghan or Princess Kate) as Princesses Beatrice and Eugenie are, but they do get the feminine version of all of their husband's titles, one of which is prince. The royal duke/duchess title is higher ranking though, which is why they use that one. If Harry had not been created the Duke of Sussex upon marriage, then Meghan's title would be The Princess Henry/Harry (just like Princess Michael uses her husband's only title). Also, a "princess" title can be awarded solely to the woman - didn't the queen do this for one of her cousins (or Philip's?)? I do believe there is some older woman who did get "made" a princess on her own by the queen. And, it's possible that this could happen to Meghan and Kate when Charles or later William take the throne. Highly unlikely, but still within the realm of a possibility. The trip will be interesting. Such a fascinating country. Re the Meghan friends reports to People magazine. One large problem with this approach, which we have to assume Meghan either co-ordinated or approved of, is now that there is on record "anonymous" friends" giving out detailed information it now makes it even easier for all the tabloids to reference their sources as "anonymous friends". If you were going to interview as an anonymous I would have suggested trying to get it down by a major newspaper. Not sure who that is in the UK, maybe The Times or ? Interesting read, thank you. I think this could be a learning opportunity for many of us. Deleted Daily Fail app on my phone. Feels good. Poisonous and bullying content. No longer feel I need it in my life. If I want my fix of Royal news I can come to this blog. Thank you Charlotte for professional coverage. Carrie, I kicked the Daily Mail (gag) habit about one year ago & it feels good! Charlotte’s blogs are my exclusive place for royal news & I love it. Charlotte does a thorough job & includes all the pics, so why go to such a cheap, tawdry source such as the Daily Mail? Well said. You’re absolutely right. Un grand bravo et tous mes encouragements à ces dynamiques femmes et à la duchesse de Sussex. Dieu bénit les projets et oeuvres faits avec bon Coeur et pour le salut de personnes dans le besoin. The Washington Post article (across the pond) tells the truth. Thanks Anonymous @ 00:22. Re the banana writing: yes, it was a nice thought but it had not been previously discussed and approved by the patronage and given Royal ‘ok’. The Duchess of Sussex, in May, will be an official Royal for one year; still a lot to learn. “On the job lessons, in the public eye, are sometimes the tougher lessons. This incident is a lesson to be learned by her and there will be more lessons to learn. Hopefully, in life, we are all still learning and growing in order to be the best we can be in whatever assignment comes our way. Thanks, Maggie @ 10:14 for the info. It is my belief and hope that Meghan will always be herself and continue to do things from her heart. No royal robot here reading from the script. The only lesson learned was normalcy and genuine care. I think the lesson learned is not that she should not be herself, but rather that the smallest, well meaning act can get you on the front pages if you are a royal. That is not necessarily a bad thing, but it is definitely something that is always in the back of the royals’ mind. That is why they so seldom do something impulsive. And it will now also be in the back of Meghan’s mind. What she do with that is up to her. I agree USA Granny! She was (is) already being criticized for pretty much everything she did or said or wore...so I agree that she should just be herself. I hope she learns no lessons! She owns her clever and kind gestures. What people do with those gestures or say about them, they own. If you want good results, you need to be creative and go a different road. Look at the wonderful Hubb ladies -- I am still blown away by them. I love the cookbook and I love to read about the women in the blurbs before their recipes are presented. My husband and I would be so happy if they were our neighbors on this awful rural Texas road. I volunteer to swap about 500 local people for them. So looking forward to the Morocco trip. I'm looking now at a wonderful fossil remembrance of my trip there...loved the food as well as the sights! Charlotte, thank you ever so much for the update on the Hubb project. I ate leftovers of the eggplant masala for breakfast just a few days ago (yummy! )and it feels good to support such a worthwhile project. Of course the same can be said of your work on the two blogs. Know that your efforts are deeply appreciated. As for Harry and Meghan, may they and their family be blessed with health and happiness as they continue to serve their fellow humans. Quite a few comments on social media about the fact that Meghan's friends went to an American publication. My thought is that these are her American friends, those that she has known the longest, so of course they would go to an American publication. I'm still undecided about her friends speaking out the way they did, but objections to them speaking out makes the situation seem like a gang beating up on an individual and everyone is simply watching, and commenting on how horrible the situation is, but doing nothing to save the victim because the thinking is that it would just enrage the abusers more. Agree with you Anon 16:09. People has, in my American mind, more credibility than tabloids. And I can't see how the abusers could be worse, so getting the friends' story out there at least gives a voice to the truth. It as much too much without some sort of condemnation. Way too many personal attacks to ignore. If Meghan knew about it, I imagine she did it to make Harry feel better and perhaps to tell her family to just shut up. The tabloids obviously have a huge host of problems but People was probably chosen bc they do a lot of very...obsequious 'omgsh this person is a god' articles/profiles abt famous ppl and so would be esp cooperative about basically printing a palace pr fluff piece. As unfairly negative as the tabloids have been towards Meghan, this new people article in terms of journalistic approach isn't really any better in that it also isn't really balanced or anything. It just went for the opposite extreme instead. Meghan dessinée comme les Simpson par Palombo. C'est magnifique ! Looking forward to hearing about their trip, but am surprised she was okayed to fly so late in her pregnancy. They must have all sorts of contingency plans!! And congratulations to the women of the Hubb Community Kitchen. This trip is a nice surprise and I agree with Charlotte that it should include some fascinating places. The other plus is that this trip confirms that she probably was not deflecting when she said that her due date is (late) in April. Thank you so much, Charlotte. You are the best. Charlotte, I’m sure you don’t even know what a beautiful blog you’re holding, what happiness you’re bringing us. Keep your values and kindness. As for Meghan, as I always say, nothing happens for nothing: Meghan is one of his martyrs who must sacrifice himself to make a significant change. But this time, I am confident that the end will be more beautiful. Meghan is wonderful and strong. Jo Marneys, she’s been through them for a long time. Meghan will change the equation and not let the equation control her. I can’t comprehend what the British people want from their monarchy, but I suspect the stiff behavior and carefully scripted outings of the 20th Century will seem less important a few more years into this one. William and Kate might be forced into a box, but the rest of the family might be able to act more naturally without uproar. I hope so. I’m so pleased to see this brief trip announced. I remember Morocco as a beautiful, welcoming place. I agree it appears to be one more signal that the Queen and Prince of Wales are firmly in the Sussexes’ corner. Morocco, for my fellow Americans on this blog, was the first country to recognize the United States as an independent nation. There is so much that needs doing in the Kingdom of Morocco, and I feel Meghan and Harry will find their kindness and compassion will go far to help the young population there. Clearly Meghan must have at least another six weeks to go. I recall a friend who went into labor with her second child driving to work one morning. It’s absurd to think that they would travel if there were any concern about her health. 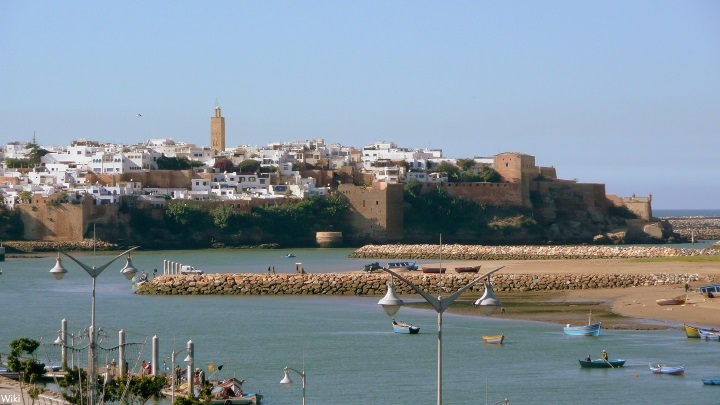 Rabat is a modern capital of more than one million people. It’s not like they are headed into the middle of the Kalahari Desert. Exciting news. I'm so excited to see the trip to Morocco - I imagine there will be some beautiful sights - colors, architecture, food. I would assume the Ambassador has some inside knowledge so I think we will see the type of engagements/organizations he mentions (youth, the role of women, education) - all of which are right up the alley of both Sussexes. I'll also keep my fingers crossed for some foreign royal orders for the couple and a jewelry gift for Meghan. OMG, I am sure it won't happen, but I'd also love a tiara event! I know this is not going to be a popular opinion but I have some doubts that Baby Sussex will join his/her on official tours. If H&M feel stongly that they want their children to have a life as normal as possible and the children will have no royal role as adults (lile the York princesses) it seems doubtful that they would expose them to a ‘job’ that is often scary and intimidating to children (and adults) if they are never going to do it as adults. Especially since Harry have very bad memories of have to deal with press and public at a very young age. I have no “inside information” so I am probably wrong, but the more I think about it, the more I get this feeling. I agree with you Granny @ 18:33 that the Duchess of Sussex had a genuine sweet thought re the banana markings. However, due to controversy, and some street workers offended by the gesture, the bananas marked were not all given out. Therefore, if there was a ‘before procedure’ that was not followed, I am sure it will be followed in the future. In life, all of us have rules to follow and guidelines to adhere to. Even on this blog, Charlotte has guidelines. So my point is: IF the Duchess of Sussex missed a turn with the banana markings, it won’t happen again because she is NOT a rebel. Out of her own mouth, she admires the Queen and is not trying to buck the system or break rank. The media, who think they know the Royal rule book, influence people with their opinions about Royal protocol. The Duchess of Sussex, IMO, has the type character and attitude that’s necessary to make the adjustment IF she acted too quickly with her idea. That is a worthy attribute we all should aspire to. Now that worst excuse for a father has released the letter Meghan sent him, which seems to validate what her friends said. And more. He appears to be so warped that he thinks it does otherwise. It is just heartbreaking to read, though, and I stopped because it's just not right. I'm glad that she does have a strong belief in her faith and I hope that Harry and the RF provide her a happy place to raise their child and visit with her mom and friends. I know what it's like to try to make your parents see that what they are doing is SO hurtful and wrong and to have them ignore you. Meghan needs a huge group hug. At the Endeavour Awards, Meghan made a comment about "ripple" effects created by someone brave enough to cause the first wave. Meghan's banana messages have brought in donations from around the world to the charity. As well, I read somewhere that they took pictures of the messages, and made banana bread to distribute in their lunch packages. Recipients have expressed gratitude for the thought that went into the gesture. Also, look at what's happened to the cookbook and the extended charity opportunities for the women at the Hub. I think we can safely say that some good has come about from Meghan's support of patronages and appearances. The woman's actions are helping others, as she vowed to do in her engagement interview. I pray she stays strong physically and mentally, and that she goes from strength to strength. The best revenge is to overcome bad with good.